In 2015-16 nearly 900,000 MT of Polyethylene Terephthalate (PET) was used in India. There are two ways of looking at this. Anyone can look at the data and say – waste. Or the community needs to change its habits, become responsible, process this used PET and say – resource. Making PET a resource requires building a system in which many people, institutions and technologies work together to reduce, redesign, recover, recycle and reuse packaging. As a leading beverage producer, Coca-Cola India has partnered with Packaging Association of Clean Environment (PACE) to build awareness about the usability of used PET bottles and also promote the recycling of PET. The market for recycled PET bottles is quite large. There are 40+ large manufacturers spread over 40 locations that use it as raw material. According to the National Chemical Laboratory, a unit of the government-owned Centre for Scientific and Industrial Research, this network of people collectively recycles 60 to 70 per cent of PET bottles. This is great news, as this organised sector generates around Rs. 3500 crore per year, employing thousands of people and recycling billions of bottles. Kabadiwallahs (waste pickers) collect the PET bottles from homes of consumers, restaurants and shop owners. Traders collect and sort the usable part of the PET and discard the not usable ones like caps, labels and neck rings. Recyclers also do another round of sorting, cleaning, removing undesirable parts and convert PET bottles into washed flakes. Manufacturers use recycled PET to make polyester fiber which is used to make a whole range of products such as filling materials for cushions, pillows, clothing, upholstery and more. At the end of the day, conscious efforts are being put into place to reuse and recycle the bottle in your hand, and with your support, this recycled PET market can grow larger, doing more good to the environment. 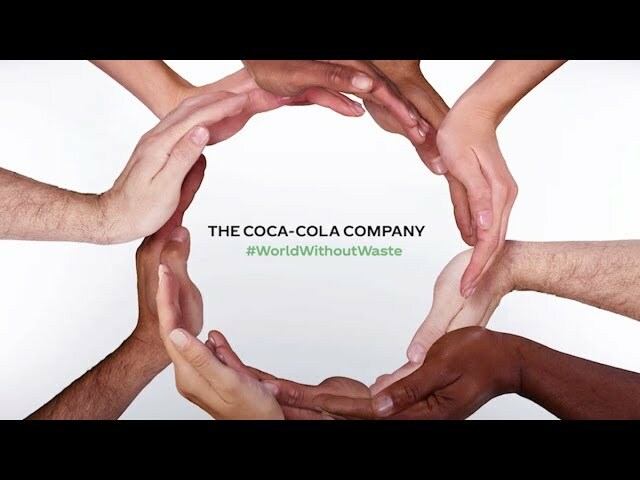 Coca-Cola is committed to working towards environment sustainability and is always looking at new ways to improve its manufacturing and supply chain processes.